Rotationplasty is a very old concept. 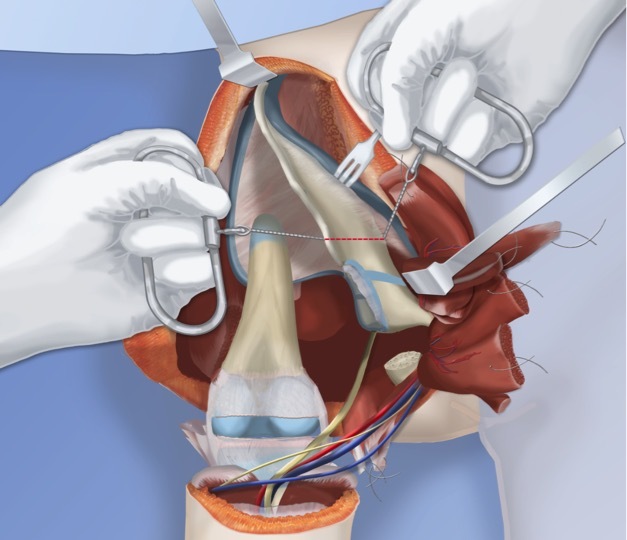 The original operation was the Van Nes rotationplasty. Newer modifications of this operation, first by Brown in 1996, and then by Paley in 1997, have made this an excellent alternative for the most severely deficient cases. 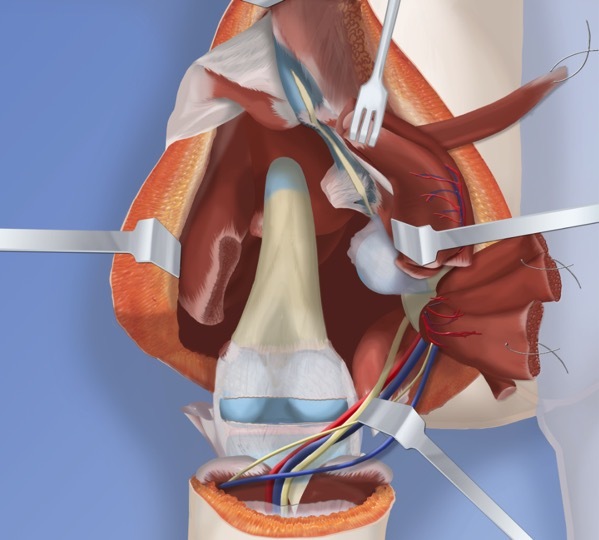 The Van Nes rotationplasty converts the ankle into a knee, and the knee is fused straight, and the hip is floating free. 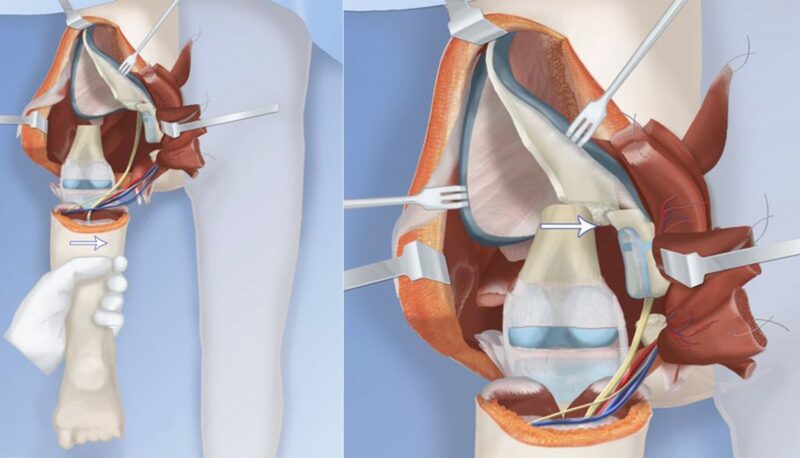 This type tends to rotate back partially, undoing the benefit of the rotationplasty; the Paley-modified Brown rotationplasty converts the knee into a hip and the ankle into a knee. 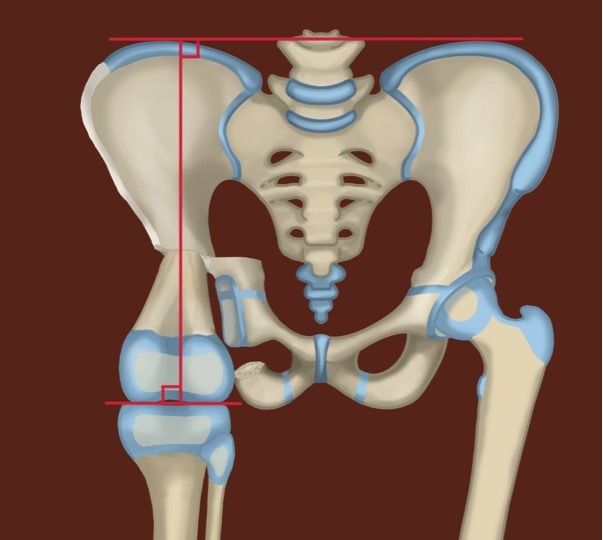 The hip is very stable with this type because the small remnant of femur is fused to the pelvis. All of the original hip and knee muscles are reattached to operate the knee which becomes the new hip joint. 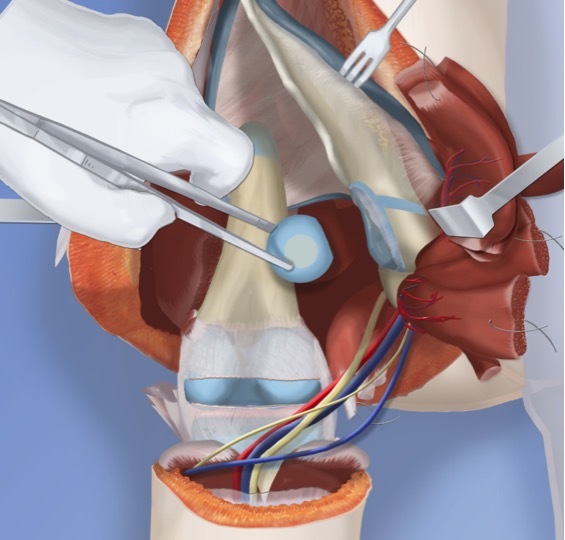 The Paley rotationplasty connects the knee to the existing femoral head (when it is present) so that hip motion is produced by the combination of flexion of both knee and hip joints. Because the femoral head is connected, the hip can also abduct (move to the side) as well as rotate. This is not possible with the Brown rotationplasty. This gives a much better three-dimensional hip motion. The ankle again serves as the knee. The most commonly used rotationplasty used at the Paley institute is the Paley-modified Brown rotationplasty. Dr. Paley modified the original Brown rotationplasty by fusing the femur to the pelvis with a special osteotomy called the Chiari osteotomy. 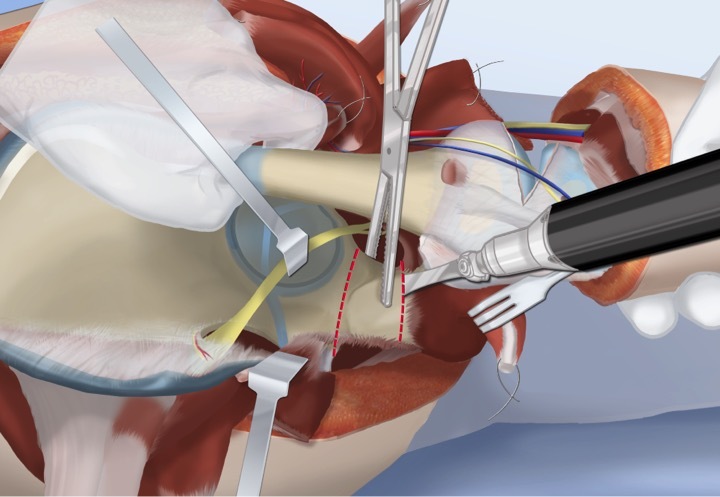 In this operation, the leg is rotated nearly 180 degrees. To start, an incision is made to expose all the muscles of the thigh. This completely exposes the knee and hip joints. The nerves and arteries are preserved. Since the femur is now untethered, it can be rotated 180 degrees. 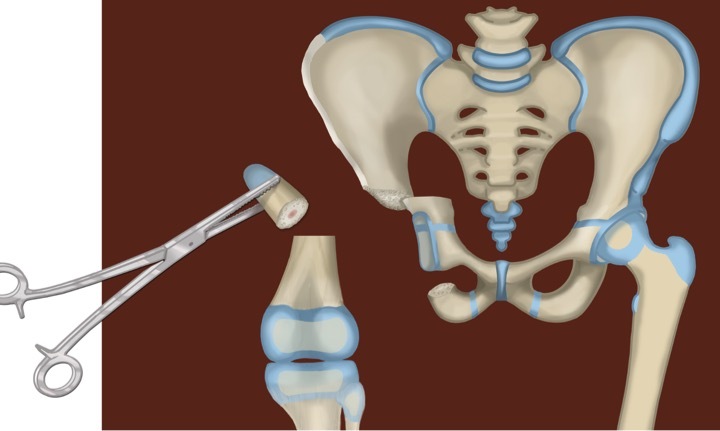 Next, the hip joint must be reconstructed by performing specialized osteotomies to the femur and pelvis. Dr. Paley will next perform an abductor slide and will remove the femoral head from the acetabulum. 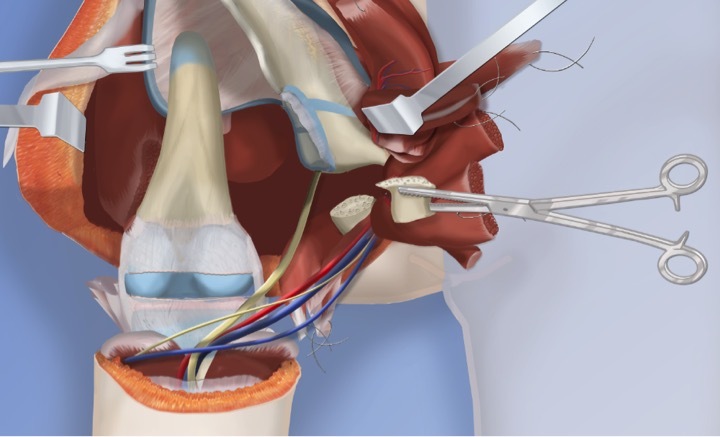 Dr. Paley will then perform the first osteotomy to the pelvis and remove a segment of bone. Dr. Paley then performs the second pelvic osteotomy, higher up on the pelvis. 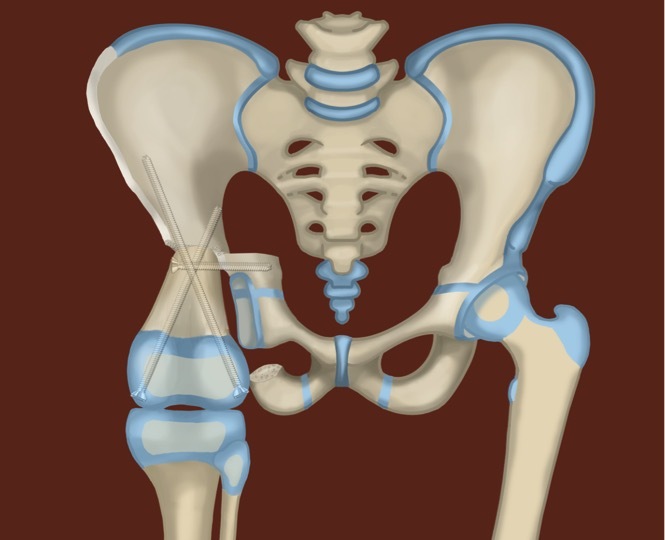 The section of pelvis at the affected hip joint is then shifted over. Dr. Paley will then perform the femoral osteotomy and remove the upper section of the femur. Next, the femur is shifted over into the new hip joint. This alignment restores the 90-degree relationship between the pelvis and the shaft of the femur. The knee joint is now in position to act as the new hip joint. This alignment is held in place by three screws. Finally, all of the muscles are reconnected and the incision is closed. The knee joint now functions as the new hip joint. The muscles are reconnected to operate the knee as a hip joint. The ankle then becomes the new knee joint. A cast or an external fixator is used to hold the leg in place for three months. After that, a prosthesis is fitted to the leg and foot. The movement of the ankle will function as a knee joint and the knee as a hip joint. 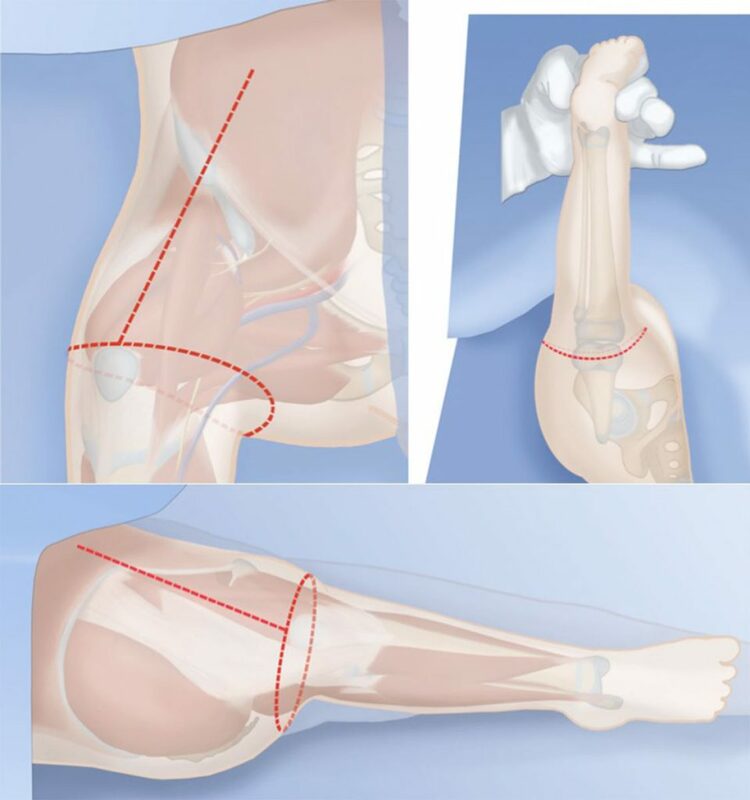 The patient will be able to bend their new knee on their own by flexing their ankle joint. Rotationplasty is recommended because it allows the very powerful calf muscle, which is normally responsible for pushing off the foot, to function like the quadriceps muscles and extend the knee. This completes the Paley-modified-Brown Rotationplasty. You can read Josh's testimonial here.